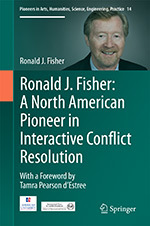 Provides the most significant contributions of Ronald Fisher to the subfield of interactive conflict resolution. Clearly places interactive conflict resolution in the broader domains of conflict resolution and peacemaking. 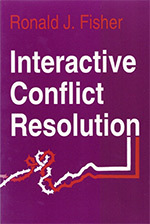 Articulates the important potential of interactive conflict resolution for contributing to a more peaceful world. Tamra Pearson d’Estree: Ronald J. Fisher: Contributions of a Scholar-Practitioner to Conflict Analysis and Resolution – Ronald J. Fisher: Advancing the Understanding and Effectiveness of Third Party Interventions in Destructive Intergroup Conflict – Selected Bibliography -- Ronald J. Fisher: Third Party Consultation: A Method for the Study and Resolution of Conflict – Toward a Social-Psychological Model of Intergroup Conflict – Generic Principles for Resolving Intergroup Conflict -- Interactive Conflict Resolution: A Social-Psychological Approach to Resolving Violent Ethnopolitical Conflict – Assessing the Contingency Model of Third Party Intervention in Successful Cases of Prenegotiation. 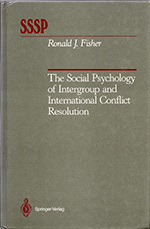 Ronald J. Fisher is Professor Emeritus of International Peace and Conflict Resolution in the School of International Service at American University, Washing-ton, DC, a Distinguished Visiting Scholar in the School of Conflict Analysis and Resolution at George Mason University in Arlington, VA, and an Adjunct Professor in the Doctor of Social Sciences Program at Royal Roads University, Victoria, Canada. His primary interest is interactive conflict resolution, which involves informal third party interventions in protracted and violent ethnopolitical conflict. 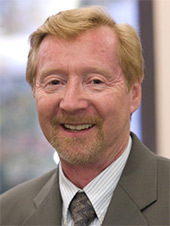 As a scholar, Ron has developed a generic model of third party con-sultation, an eclectic model of intergroup conflict and a contingency model of third party intervention, and has documented and evaluated a variety of interactive conflict resolution interventions. 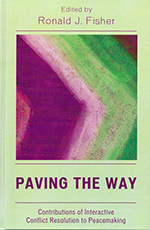 His publications include Social Psychology: An Applied Approach (1982), The Social Psychology of Intergroup and International Conflict Resolution (1990), Interactive Conflict Resolution (1997), and Paving the Way: Contributions of Interactive Conflict Resolution to Peacemaking (2005), as well as numerous book chapters and articles in interdisciplinary journals in the peace and conflict resolution field. As a practitioner, he has worked on the longstanding dispute in Cyprus and similar conflicts in other parts of the world, and has provided training and consultation services to a wide range of organizations and institutes. In 2001 he received an Outstanding Contribution Award and in 2003 the Morton Deutsch Conflict Resolution Award from the Peace Psychology Division of the American Psychological Association, and in 2011 he received the Nevitt Sanford Award from the International Society of Political Psychology. Ron holds a B.A. (Hon.) and M.A. in Psychology from the University of Saskatchewan and a Ph.D. in Social Psychology with a minor in International Relations from the University of Michigan, and he has been elected as a Fellow in both the American and Canadian Psychological Associations. Fisher, R. J., Ed. (2005). Syracuse, NY: Syracuse University Press..
New York, NY: Springer Verlag. 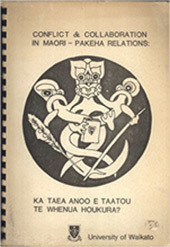 Ka taea anoo e taatou te whenua houkura? 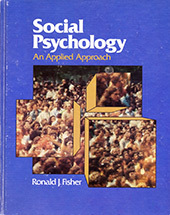 Social psychology: An applied approach. New York: St. Martin's Press..
American University is an independent, coeducational university, chartered by an Act of Congress in 1893 as a Methodist Church–related institution. Our cosmopolitan, multicultural campus enrolls approximately 13,000 students in undergraduate, master’s, doctoral, and professional degree and certificate programs. The university attracts students from all 50 states, the District of Columbia, Puerto Rico and the territories, and 130 countries. American University offers a wide range of undergraduate and graduate programs through its seven major divisions: College of Arts and Sciences, Kogod School of Business, School of Communication, School of International Service, School of Public Affairs, Washington College of Law, and School of Professional and Extended Studies. The College of Arts and Sciences comprises 21 teaching units, including the School of Education, Teaching, and Health. Each semester approximately 400 students from 200 colleges worldwide participate in programs through AU’s School of Professional and Extended Studies, AU Abroad, and Abroad at AU. Academic offerings of the university include 68 bachelor’s degrees; 69 master’s degrees; 10 doctoral degrees; JD, LLM, and SJD degrees; and certificate programs. University leaders have assembled a nationally and internationally acclaimed faculty committed to excellence in teaching and scholarship—real wonks in their field— along with a diverse and talented student body. American University’s academic programs are grounded in the arts and sciences and connected to the extraordinary cultural, public affairs, legal, business, international, and communication resources of Washington, DC. AU will continue to build on these strengths to create a distinctively American, globally oriented university dedicated to academic excellence in preparing students for leadership in a complex international society. 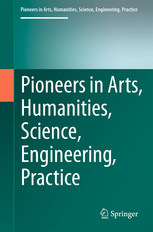 Reprinted with the kind permission of American University, Washington, DC, U.S.A.